Free and Open to the Public – Refreshments will be served. 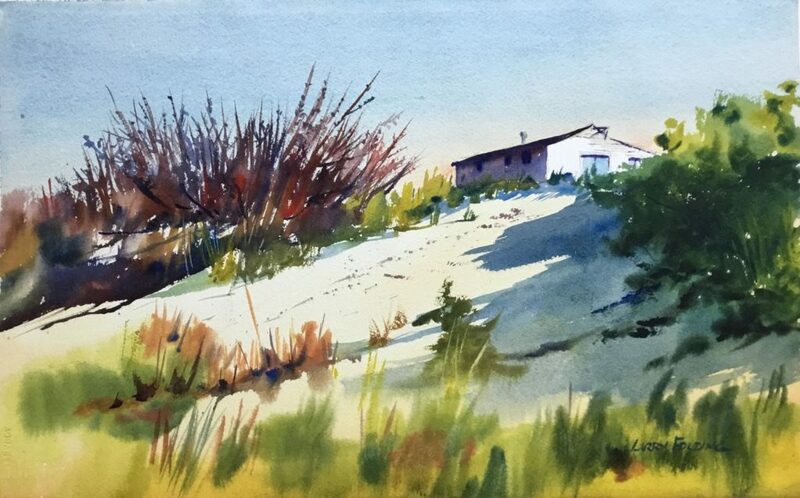 The Guild of Harwich Artists’ April general meeting will feature a watercolor painting demonstration by Larry Folding, a Guild member and award-winning artist and long-time teacher. Folding has had a wide range of training experiences, beginning with a three-year extension course at Rhode Island School of Design. He recently spent time as in artist-in-residence in the historic dune shacks of the National Park Service -Cape Cod National Seashore. He has attended numerous art classes at the Worcester and Fitchburg Art Museums, scores of workshops taught by masters in the field including: Don Stone, Edward Minchen, Judy Wagner, Ron Ranson, Hillary Page, Peter Spataro, Alvaro Castagnet, Don Andrews, and Tony Couch, Carlton Plummer and lately with Joseph Zbukvic and David Taylor. Larry is a Signature Member of the New England Watercolor Society, Artist Member of the Cape Cod Art Center and past president of the Guild of Harwich Artists. Larry’s spring watercolor classes will start on April 24 and run for 10 consecutive Wednesday mornings ending on June 26th at the Harwich Cultural Center, 204 Sisson Rd., in Harwich at 9:30 AM until noon and cost $175.00 for the 10 classes or $20 per drop-in class. You can reserve a spot in the class by replying to larryfolding@comcast.net. Material list available upon request. During 2019, the Guild of Harwich Artists is celebrating our 40th year with numerous art shows, public events and member engagements. For more information visit our website at www.guildofharwichartists.org.